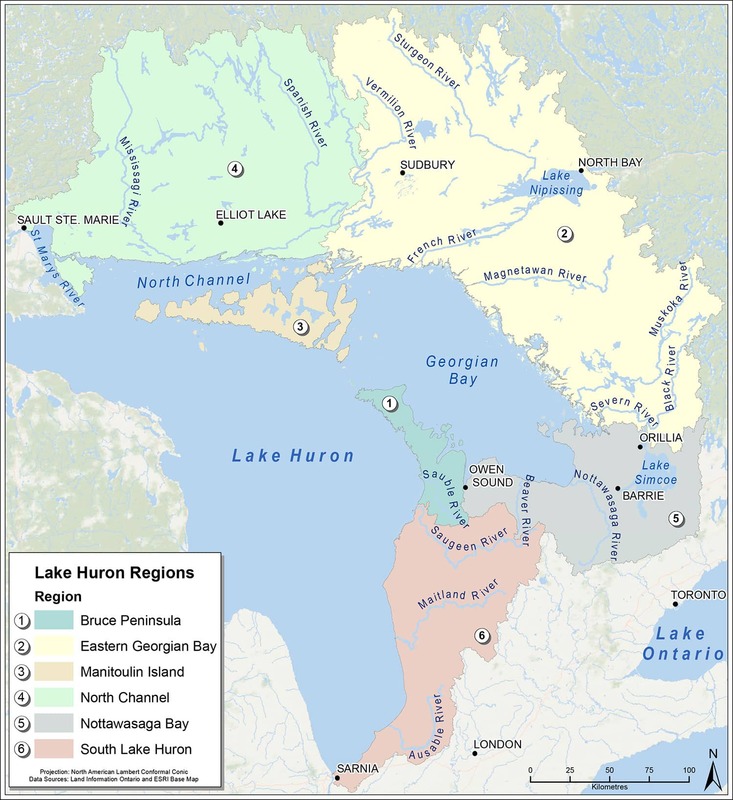 We want to know the range of successful environment and conservation stories happening around Lake Huron that are supporting a clean Lake Huron Watershed. Your story will be shared on our website and the map. Please consider sharing your story and help us network with others and encourage others in their environmental actions. It is at the local community level where decisions are made every day that impact the health of our waters and our communities. 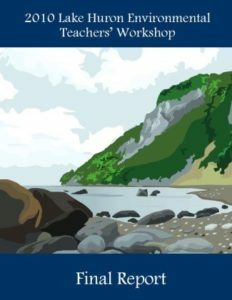 Citizens and organizations have been building their capacity, expanding their knowledge, taking action, and monitoring their progress around Lake Huron and Georgian Bay. Our goals, principles, and approaches help these groups and others to build upon successes and plot new actions to ensure the health of the lake and its watershed. Click on a pin to see examples of successful community-based environmental actions and projects around the watershed from Sarnia to the St. Marys River. 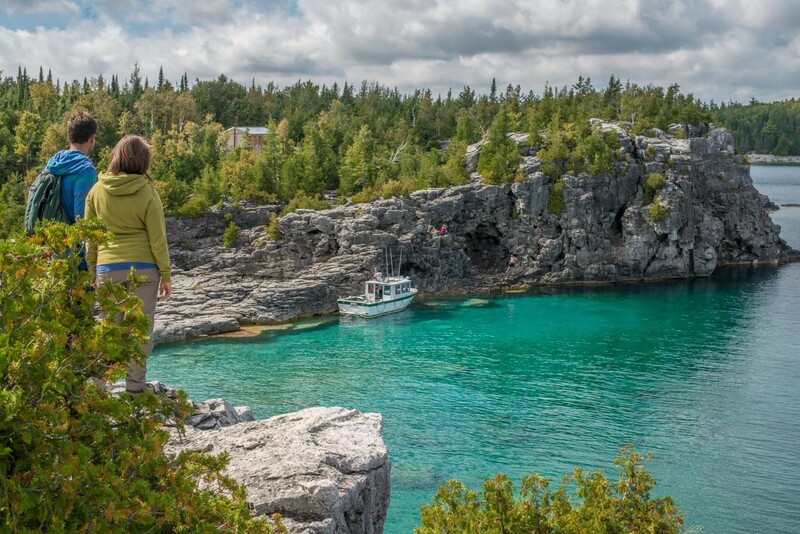 Formed over 5000 years ago, the Bruce Peninsula is a largely exposed stretch of Niagara Escarpment limestone that separates the main basin of Lake Huron from southern Georgian Bay. It is one of the most biologically diverse regions in Canada. Nearly 70% of the region is intact and forested, while the remaining portion includes flat, pastoral landscapes, scattered inland lakes and wetlands, globally rare alvar systems and coastal wetlands, beaches and cliffs. 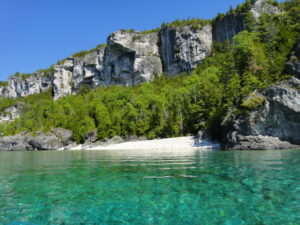 Among its long stretches of Lake Huron shoreline and varying inland features, the region offers residents and visitors diverse recreational opportunities including two national parks, the Bruce Peninsula National Park and Fathom Five National Marine Park, over a half a dozen nature reserves and the northernmost reaches of the popularized Bruce Trail. The region also comprises the northern tip of the Niagara Escarpment Biosphere Reserve, a designation awarded by the United Nations in recognition of a globally significant ecosystem containing community members committed to living and working in harmony with nature. 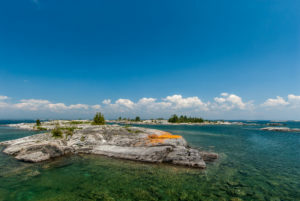 Northern and eastern Georgian Bay is home to the “Thirty Thousand Islands”, the world’s largest freshwater archipelago. Much of this region is designated a United Nations Educational, Scientific and Cultural Organization (UNESCO) biosphere reserve striving to achieve conservation of biological diversity while promoting sustainable development practices. 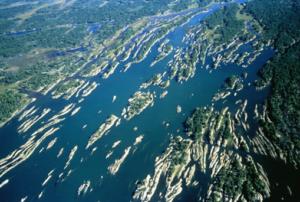 The biosphere stretches approximately 200km from the Severn River to the French River, encompassing innumerable bays, inlets, islands and shoals that form the Canadian Shield. The irregular topography and landforms support a range blend of habitat types including forests, wetlands, and varying shorelines ranging from sand beaches to cobble beaches to exposed bedrock. The highly variable shoreline and nearshore areas support a high level of biodiversity and attract residents/visitors alike. Resting in the open water between the main basin of Lake Huron and northern Georgian Bay is Manitoulin Island, the world’s largest freshwater island. 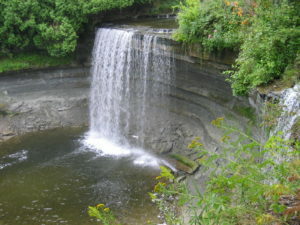 The island marks the geological meeting place of the limestone-based Niagara Escarpment and the granite-formed Canadian Shield, though the island itself is mainly comprised of limestone continuing north from the Niagara Escarpment. 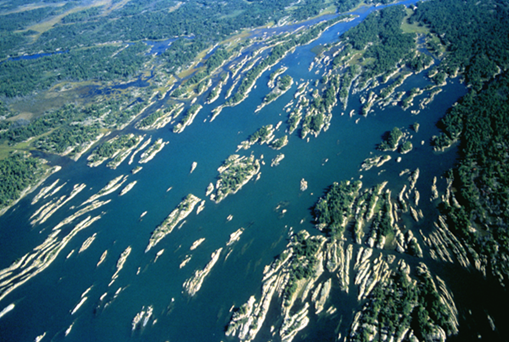 As the island is so large – 2766km2 – it contains more than 100 inland lakes within its freshwater coasts. Perhaps most unique to the island is its limited accessibility via either ferry or plane. The visitors who cross the open waters of Lake Huron to reach the island are rewarded with various scenic and recreational pursuits, including hiking, swimming, boating, kayaking and fishing. The North Channel region refers to the northern-most shoreline of Georgian Bay, reaching from the French River to Sault Ste. Marie, Ontario. Recognized as one of the best freshwater boating areas of the world, this region includes vast numbers of uninhabited islands that allow boating, sailing and paddling-enthusiasts endless exploring in sheltered anchorages and a natural freshwater fjord. 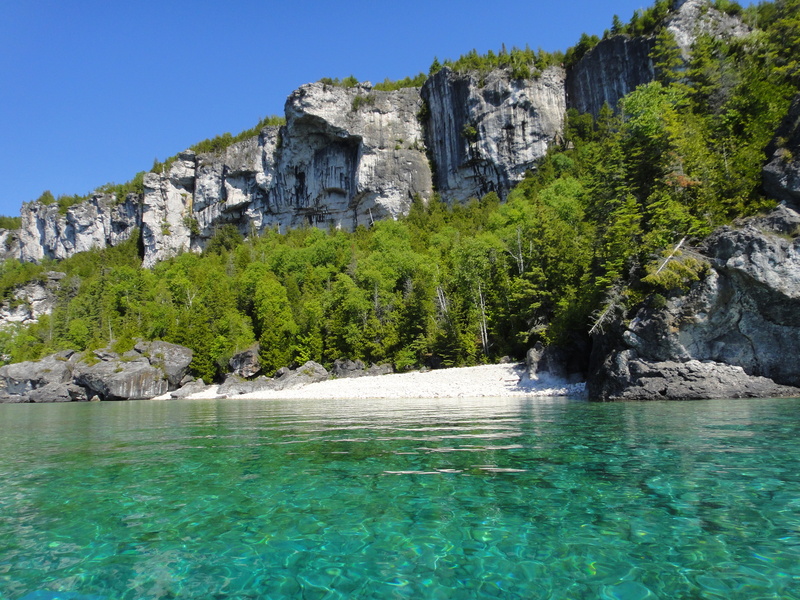 On larger islands and the mainland are swaths of largely untouched of Great-Lakes St. Lawrence mixed-wood forest. Unlike the urbanization occurring in the southern areas of the watershed, development in this region is generally related to the natural resource industry including forestry and mining activities associated with limestone, nickel, uranium, copper, platinum and gold. Spanning from Owen Sound, Ontario, to the Severn River, the southern Georgian Bay region describes a large freshwater bay that acts as a gateway to Georgian Bay’s infamous 30,000 islands. In the southern region, Wasaga Beach stretches 14 kilometers, making it the world’s longest freshwater beach. To the east, the mouth of the Severn River affords travelers access to and from the Trent-Severn waterway, which connects western Lake Ontario with numerous inland lakes including Lake Simcoe, before eventually entering southern Georgian Bay. 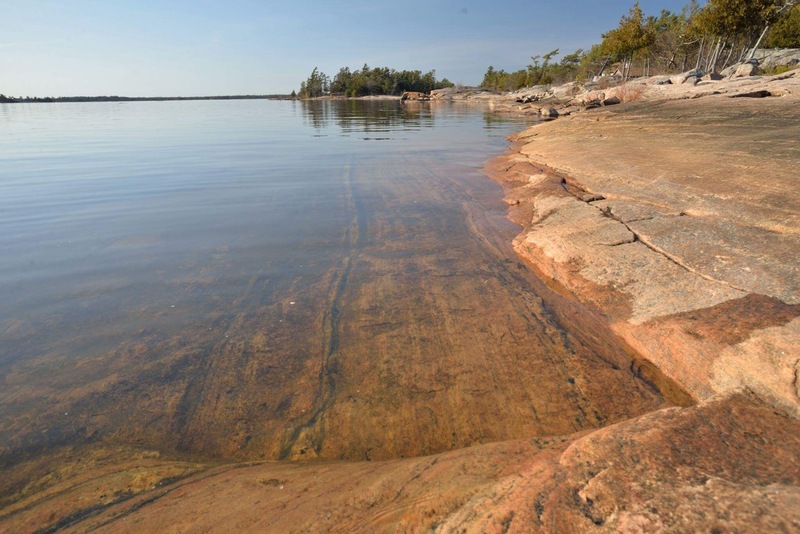 The region also includes a globally recognized freshwater coastal wetland, Matchedash Bay, located in the southeastern corner of Severn Sound. The south east shore region stretches from Sauble Beach to Sarnia, Ontario, encompassing some of the longest freshwater beaches in the world. 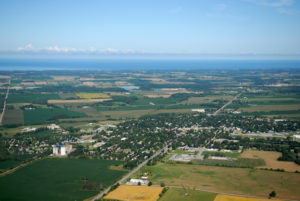 Although closest to the larger urban centers of southern Ontario, this region is primarily agricultural, interspersed with fragments of Carolinian forest in the southernmost region transitioning to mixed-wood forest farther north. 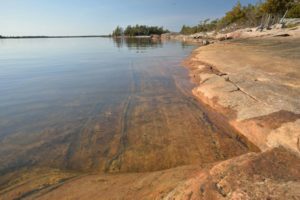 The shoreline is characterized by various types of beaches, coastal bluffs and gullies, occasional wetlands and small pockets of coastal dune systems that rank among the most fragile ecological features in North America. 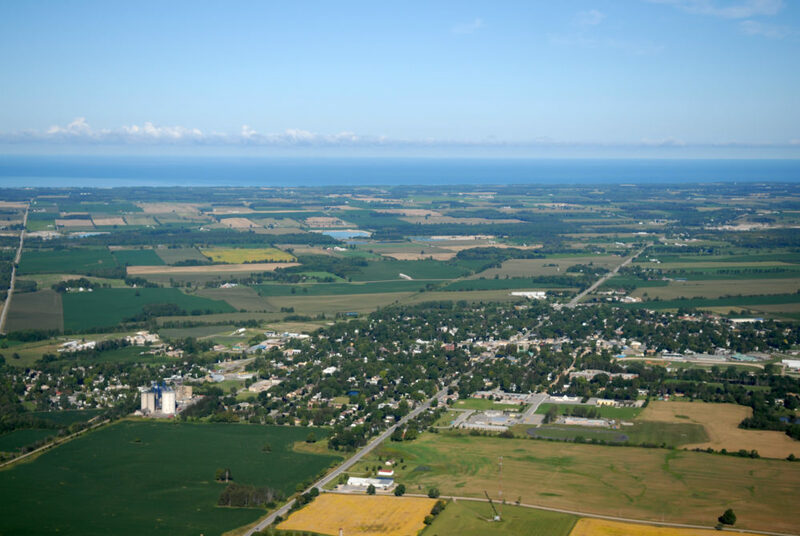 Coupled with these fragile ecological features are increasing human development pressures as populations in southern Ontario communities continue to grow. Efforts to expand a network of community-based groups from Sarnia to the St. Marys River.